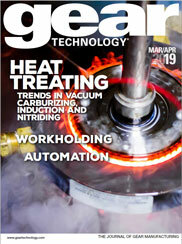 The article "Showstoppers - Gear Expo 2013" appeared in the August 2013 issue of Gear Technology. Our special advertising section featuring Gear Expo exhibitors. The article "Showstoppers - Gear Expo 2013" should appear in the box below, but if you do not see it, you can download it here.